Author Dan Egan tells the story of one of the last Great Lakes fisherman who witnesses the adaptation of a fish to Lake Michigan’s polluted ecosystem. The following is an excerpt from The Death and Life of the Great Lakes, by Dan Egan. Ken Koyen wasn’t a particularly big teenager, he wasn’t a particularly tough one, and he wasn’t particularly keen to carry on the backbreaking Great Lakes commercial fishing business that had sustained his family since the 1800s. But Ken’s dad had other plans, especially after he asked one day to see his growing boy’s hands. That was almost a half century ago. Today Ken Koyen is the last full-time commercial fisherman on Wisconsin’s Washington Island, which sits at the edge of a violent patch of northern Lake Michigan, known as Death’s Door for the countless boats its churning currents have sunk over the past few centuries. There was a time when the island was a base for some 50 commercial fishing boats, many manned by descendants of Icelandic immigrants who found the rugged chunk of limestone where the frigid waters of Lake Michigan collide with the warmer waters of Green Bay a suitable surrogate for their North Atlantic homeland. Can The Great Lakes Stay Great? By 2003 Koyen was the only full-time commercial fisherman left, and the stocks that had sustained his father, and his father, and his father, and his father—lake trout, perch, chubs and whitefish—were struggling or all but gone. 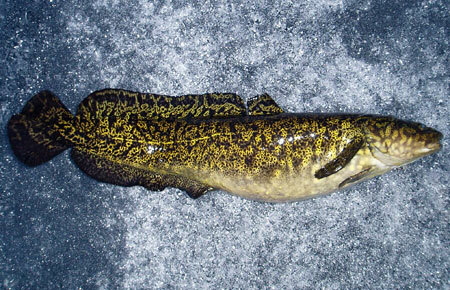 Koyen was left to chase what many once regarded as a trash fish, the lowly burbot—a bottom dweller that the oldtimers considered nothing but a nuisance in their nets. To eat one of these fish back when Washington Island was famous for its fishing fleet was to hit bottom, a “disgrace,” as one 91-year-old life-long island resident once told me. Then nature stepped in. Koyen said he began to notice the stomach muscle whitefish use to grind mussel shells getting bigger year after year, to the point that today he says you can see a rigid rib on the fish belly where none used to exist, and he now catches a healthy whitefish with stomachs full of mussel paste. But these native fish have done more than just adapt to a diet of mussels. Back in the early 1980s, Koyen was fishing with his dad when the two hauled from the depths of the lake something neither man had ever encountered—a whitefish with an alewife hanging out of its mouth. What made this so strange is that whitefish are not a fish-eating fish. They don’t even have teeth. “Look at that! Look at that!” Koyen’s dad hollered over the rumble of the boat engine. His dad actually stopped lifting the net to get a closer look and ponder the oddity. For an oldtimer who had spent his life lifting untold thousands of fish from the depths of the lake, seeing a whitefish going after another fish was about as bizarre as stumbling upon a man gnawing on a log. Henriksen said the species switchover in diet from the little shrimp to mussels, gobies and any other fish they can get their mouths around means he now catches whitefish in such strange places that he has essentially had to learn to fish for them all over again, as if they were a different species altogether. He said he could not imagine describing the changes to the long-gone fishermen who taught him the trade. Biologists who manage the Lake Michigan fishery say whitefish are flourishing to the point that they are expanding their range into tributaries that feed the lake, and they now swim so thick in the open waters that an entirely new rod-and-reel recreational fishery has emerged. “We’re lucky when you consider all the crazy stuff going on, that the fish can still thrive,” said Scott Hansen, a biologist with the Wisconsin Department of Natural Resources. 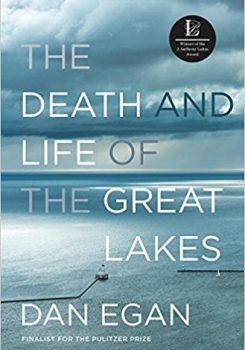 Reprinted from The Death and Life of the Great Lakes by Dan Egan. Copyright © 2017 by Dan Egan. With permission of the publisher, W. W. Norton & Company, Inc. All rights reserved. Dan Egan is a reporter at the Milwaukee Journal Sentinel and a Senior Water Policy Fellow at the University of Wisconsin-Milwaukee. He’s the author of The Death and Life of the Great Lakes. (Norton, 2017) He’s based in Milwaukee, Wisconsin.